Why Should I hire an Aggressive Colorado Speeding Ticket Lawyer? Why should I fight my Speeding Ticket? Experience. You have never handled this ticket; but we have defended this ticket 1000s of times and you get the benefit of that experience. Negotiate a plea bargain. We can help dismiss, reduce or plea bargain your careless ticket. Trial. You have a right to a trial. We can help you contest the prosecutors case and defend you in a trial. We represent you in court and make sure your side of the story is heard. We are familiar with the legal process and can explain the best approach to your case. We can appear on your behalf, if you are not available, and reach a disposition with the government. We will analyze your case for and help you develop the best defenses applicable to your case. We are experts in traffic law. All we do at this firm is fight traffic violations and fight for the little guy! Contact an Experienced Denver Careless Driving Lawyer to help you fight your Careless Driving Ticket in Denver Co.
What are the Penalties for a Speeding Ticket? 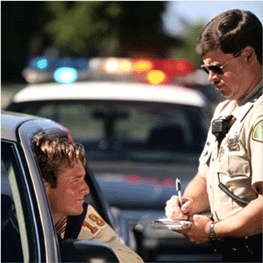 Be aware, under state law a speeding ticket can become a traffic offense which means you are charged criminally. This would apply if you exceeded the speed limit by 25 miles per hour you could face potential jail time up to 90 days and/or a fine.